Enterprise-Class solutions that automatically analyze, index, and tag the contents of images and videos: faces, objects, scenes, text. Automate the analysis process for video and image evidence to better navigate, track and make use of the material for criminal cases. Extend the capabilities of security surveillance systems to search recorded video and identify potential security threats. Ideal for the military and intelligence community. Analyze visual data on consumer behavior in store and online to better understand variations in store-to-store performance and create more effective promotional campaigns. Search and retrieve archived video sequences during production and create advertising opportunities such as product placement. 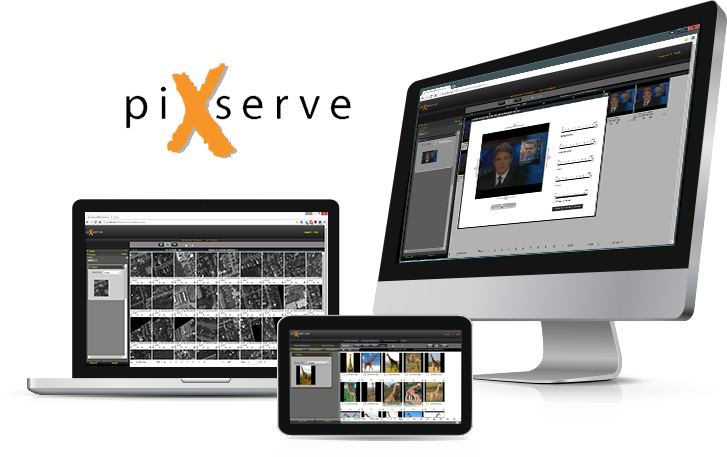 A compelling solution for those who work with images and videos in many different formats and from many different sources, piXserve is proven software used by customers with demanding visual search requirements, and recognized by industry as best-in-class. Searches for and locates rich media content, increasing the probability of locating the exact object of interest within an image or video. Saves time and costs by automatically generating highly accurate and granular metadata, greatly reducing, if not eliminating, the need for manual inputs. Increases the accuracy of a user’s search results by focusing in on and highlighting specific objects within the image or video frame. Enables accurate search results saving time for users and reducing the amount of trial and error compared to simple text-based searches. A comprehensive set of solutions for applications in a broad range of fields. Whether you are a small workgroup or a large enterprise, there is a version of piXserve that addresses your needs. On page twelve of Homeland Security Today, Joe Santucci, CEO of piXlogic, explains how federal agencies and law enforcement can gain more value out of their surveillance footage by leveraging piXserve's visual search engine capabilities. This community blog post written by piXlogic's CEO, Joe Santucci, details how pictures and videos which have long been effective weapons in the fight for national security, but the analysis of pictures are becoming an increasingly important part of research, security and investigations at all levels of government. piXlogic, a leading supplier of image and video automated search solutions, and Carahsoft Technology Corp., the trusted government IT solutions provider, today announced that they are among the first group of technology vendors to be listed in Amazon Web Services (AWS) Marketplace for the U.S. Intelligence Community (IC).